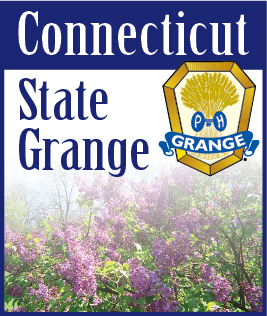 Wolf Den Grange Member Muriel G. Brundrett, 92, of West Thompson Road, Putnam, died Saturday, February 13, 2010, at home. She was the beloved wife of Lewis Brundrett, he died in 1999. Her husband adored her throughout their 59 years of marriage. She was born November 16, 1917 in Needham, MA, daughter of the late Harvey M. and Ethel Mae (Wry) Gebbes. Muriel was a bookkeeper- office manager at WT Grants and Putnam Hertzel. She was a graduate of the Burdett Business School in Boston. She has made her home with her daughter, for several years. Muriel moved to Pomfret in 1946, and following a house fire in 1961 she relocated to Killingly and made her home for many years in the Dayville-Rogers section of Killingly. She was a member of the Abington Congregational Church, a long time member of the Wolf Den and Highland Granges, where she served as Grange Master and had served as a Pomona Officer. She was a Pomfret Girl Scout leader and lead a day camp at Mashamouquet for several summers. Muriel enjoyed knitting and had knitted over a thousand baby hats for Day Kimball Hospital. She was a great lover of cats and took in many strays, she enjoyed cooking, baking and canning, and she was very proud of her grandson David for all of his accomplishments. During Prohibition she would assist her father in bootlegging his whiskey business. She leaves her daughter Muriel "Bonnie" Achtemeier with whom she made her home, and her grandson David Carter and his wife Allyson of Dayville. A Memorial Service will be Saturday, February 20, 2010 at 1:00 p.m. at the Abington Congregational Church, Route 97, Abington, CT. In lieu of flowers donations may be made in her memory to Whiskers Animal Shelter, 342 Lathrop Road, Plainfield, CT 06374.